With all the cool technology out there, how do you keep up with it all? The answers is you don't. You only keep up with that technology that you use. The phrase "Use it or loose it" really applies here. Back in 2007, I gave a presentation at the CUE conference and just before going into the session, I ran into a woman from YackPack. I did not have too much time to hear the YackPack story, but she was willing to give me one of their really cool t-shirts after I promised to include in in the give-aways at my session. (I think the t-shirt was more popular than my presentation). I did, however, learn more about YackPack when I got home and was really impressed. You can read my post about incorporating YackPack into PBWiki PBworks. So... what's the point? Despite the uses of YackPack, I never incorporated them into my teaching or training. I didn't use it, so I lost it. Jump forward to NECC 2009. Since I was not able to go to D.C. :-( I have been following the conference virtually. One participant in particular, elkanj, has bookmarked several interesting links on Delicious from NECC, and YackPack was one of them. yackpack: create a group with all your students and have them converse. They send other students (you can assign pairs if you want) voice "messages" in the foreign language and the recipients respond. You have always wanted to schedule individual conferences with your students to review their progress but found coordinating meeting times was very difficult. yackpack: create a group with all your students and record a review for each student individually. Students login and hear your review and respond. You don't have to be at school. You do it on your time. The students do it on their time. All of the conversations are saved. And it is private. You have tried blogging with your students as a way to engage them in out-of-class discussions, and you have had some success. But the kids with who don't write as well as the others feel intimidated. yackpack: create a group with all your students and record discussion prompts aimed at the whole group. Each student responds to the group and a conversation begins. This gives the students a chance to articulate their thoughts verbally. As an alternative, you could ask each student to respond directly to you to gauge their level of understanding on a topic. You have a few friends who are experts in their fields and are really interesting. You would love to have them come to your class and share their experiences with the kids, but you can't afford the class time. yackpack: create a group with all your students and invite your friends to join where they record a short talk on their experiences. Your students can then engage them in discussions. 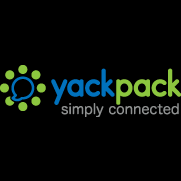 YackPack has more information about using their technology in the classroom here. To get started, watch this video preview of YackPack. If you have never heard of YackPack or are like me and have not Yacked in a while, check it out. There are lots of interesting uses for this technology. I love to apply ideas from other industries to our education space. Here is one from the architectural world. Architect Daniel Libeskind talked about how he tried to make his work expressive rather than neutral, unexpected rather than habitual, memorable rather than forgettable, communicative rather than mute, democratic rather than authoritarian. What if our classrooms were expressive rather than neutral, unexpected rather than habitual, memorable rather than forgettable, communicative rather than mute, democratic rather than authoritarian? and tagged as creativity, curious. Currently, there are no comments. It's lonely at the top Whether you are a principal, supervisor, or secretary of education, you need a support network to share ideas, gain feedback, and let your guard down. For those of you who follow my rants/ideas, you know how I value the personal learning network - a group of people and resources that help and even push you to be better at what you do. Executives and top managers whether in business or education are no different. We need a group to turn to for advice. This is really just data. "What is our budget for professional development? ", "How many students are taking AP classes? ", "When is the next faculty in-service day?" Support in this area is all about getting something done. The request involves high information complexity but low emotional demands, such as those involving processes. "How do our AP scores compare with others in the state?" requires knowledge of both process (how to get the stats) and nuances (which factors affect AP scores). When you seek emotional support, you are less interested in data or advice, but are in need of someone to listen and offer compassion/empathy. While some might dismiss such support as no being productive (resolving a problem), the need for emotional support is part of being human. 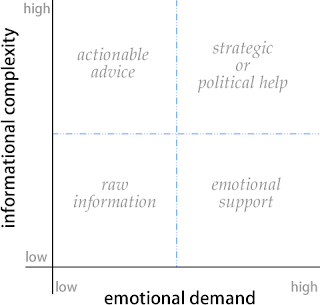 This type of support is characterized by high information complexity and emotional demands. "How do I break the news of teacher layoffs while maintaining a positive morale in the school?" "How can I sell the teachers on the need to improve our collective teaching methods?" This is a long introduction to my essential point - and that of the article: As leaders, we (need to) seek out a support network comprised of a variety of "skills". We need that person who can give us the raw data and we need that person with who we can confide our frustrations and insecurities. The raw data gal needs to be skilled or renowned in her area, but doesn't necessarily need to be a "people person". The confidant guy needs to be more of a cheerleader offering unconditional support, no questions, no judgment. The MIT article groups these skills or traits into what they call Trust. We seek support from someone we trust. As suggested, the definition of "trust" varies depending upon the situation. In general, "trust" can be measured in terms of ability, benevolence, and integrity. Ability refers to the individual's skill or expertise in a specific area. Benevolence is the degree to which the individual holds your best interests at heart. Integrity is the adherence to a set of principles that you value. I think we all unconsciously evaluate those from which we seek support in terms of ability, benevolence, and integrity &emdash; though we may not be aware of this process. My point is first: understanding of these three characteristics (ability, benevolence, and integrity) will help us better craft our support network. But, my bigger point is: we all need a network of individuals upon which we can rely. In the MIT article, they refer to someone who ranks high in all three characteristics as a "Trustworthy Partner". These individuals represent an enormous value and while often difficult to find, are a prized asset in your network of trust. and tagged as administration, leadership. Currently, there are no comments. Most of us are tied to email. What would you say if I told you that Google has made email passe? Well, prepare to toss Outlook, Gmail and your traditional email. I was unable to make the Google I/O conference in San Francisco due to a last minute scheduling conflict but as a paid participant, I received all of the conference emails including one titled "In case you missed the keynote this morning...". The email included a link to a video of the keynote. The topic was Wave, a new model for collaboration. Sounds interesting, so I clicked. Let me back track a bit. I have been using Google's "stuff" for a while. 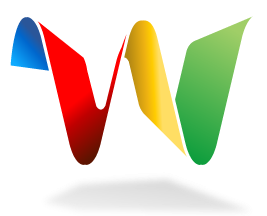 I have attended and lead workshops on Google Docs. I have written gadgets that utilize the Google Search API as well as Google Visualization. I am trying to convince you of my "Google Expertise" but more that I feel as if I am fairly well acquainted with Google's tools and Internet applications in general. I hope this helps frame my comments below. Back to the keynote. I clicked the link and was introduced to something called Wave which was going to transform email as we know it. I reacted with skepticism. I just could not imagine how any changes to email could be "transformational". Boy was I wrong!!! I sat riveted to the video. People around me could hear the frequent "Oh my gosh! ", "How cool", and "That is amazing" from me. Wave will truly make email as we know it obsolete. As I suggested above, I am not prone to such grandiose statements. But Wave deserves it! Don't take my word. You need to watch the keynote. Let me know what you think! and tagged as announcements, collaboration, conferences, wow. Currently, there is 1 comment.